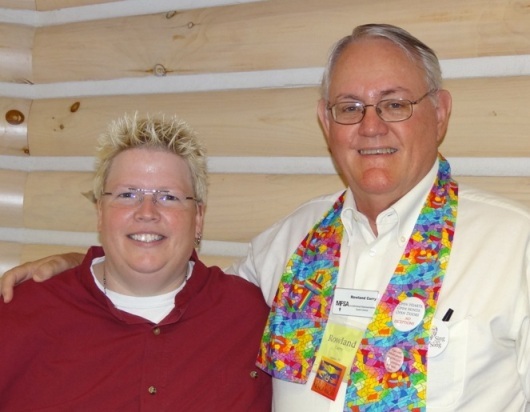 Did you know that Rowland Curry, Vice President of SWTX MFSA, is the Hospitality Volunteer Coordinator for the Common Witness Coalition at General Conference 2012? In addition to organizing volunteers for a multitude of tasks at GC, he has worked with MFSA staff to plan meals and logistics at GC. Also participating as GC volunteers from Austin will be Anne Mund, Deana Henry, Janice Curry, Richard Bates, Joe Santoyo, Joy Butler, David Mauzy, Anita Privett, Robbie & Tom Ausley, and Sid & Rachei Hall. Thanks to all of these wonderful volunteers! Please support them with your prayers for a justice-filled conference.